After seeing my Liberated Habitat quilt, Gwen sent me a copy of her newest book, 37 Sketches to review and give away to one of you. Now that I’ve read it, I’m so jealous you get a chance to win this beautiful and inspiring book! The first thing I noticed about this book is the beautiful cloth covered binding and the embossed title. Inside, the quilts, or sketches as Gwen calls them, come alive against a crisp white backdrop. It is a celebration of bold color combinations, inventive piecing and intriguing compositions. It's no wonder that it won an award in the 2012 New York Book Show! It is truly a beautiful book. 37 Sketches begins with a foreword by Gwen's long time friend, Jean Wells, setting the tone for an creative and intimate glimpse behind Gwen's quilt making process. There is also a section that explains Gwen’s philosophy behind 37 Sketches. It's a journey of exploration where one experiment leads to the next. This is not a pattern book, there is not a template or cutting diagram in sight. Instead, it is a beautiful, high quality, art book, featuring many, many, small “sketches” by Gwen Marston. Risk an adventure. I just love that. Each piece is accompanied by a short explanation of what Gwen was working on, or what her goal was, either set in curved piecing, a different color palette, or pushing the familiar liberated log cabin. As an admirer of her other books, I really appreciated this glimpse behind Gwen's process. As you look through 37 Sketches, it feels like you’re walking through an art gallery with your good friend Gwen as she shares insights into her process. It’s wonderful!!! I am a big admirer of Gwen’s work and her books, and this one does not disappoint. Her voice and her projects excite me to create, to push myself, and to be playful. She is such an inspiration. "As I was just saying, I'm still working with the liberated log cabin format." You can read more about Gwen on her website, www.gwenmarston.com. Her books can be ordered directly through her. She travels throughout the year speaking and teaching. Maybe traveling near you? Gwen also hosts an annual retreat in Elk Rapids, MI. Someday I would love to go. GIVEAWAY: Gwen graciously sent me a signed copy of 37 Sketches as well as Liberated Quiltmaking II to give to one lucky reader. Due to the cost of shipping these books, this giveaway is limited to the US & Canada. One winner will be chosen randomly on April 27th, 2012 and contacted via email. **Please make sure your email address is either in your profile, or added to your comment. 1) Leave a comment below. It can be anything! Are you a fellow fan of Gwen? Are you a liberated quilt maker? Are you inspired by the glimpse of these sketches? Have you ever taken a class from Gwen? What quilting book is on your wishlist right now? Ready, set, go! Good luck everyone!!! I'm a fan of Gwen's-I have a couple of her books! I'm still working on being a little more liberated, but I don't think I'm there yet! And I'm a loyal follower of your blog! Aloha! The movement and the liveliness of her designs is amazing. 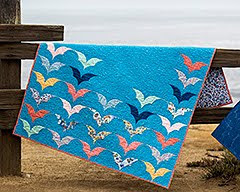 I would love to quilt like this, but usually I am a planner and I don't go this free-form. These quilts might inspire me to step out of that comfort zone. :) Thanks for the chance! I love her work, thanks for sharing her new book! I'm a fan of Gwen, I'm liberated, I'm totally Inspired by the photos, I only WISH it'd taken her class, I now have this book 37 Sketches at the top of my wish list! Thanks for the chance to win. I admire Gwen's work and would love to try something in her liberated style. Maybe her book would prompt me to do it! That book looks amazing and full of inspiration! And I definitely follow you! 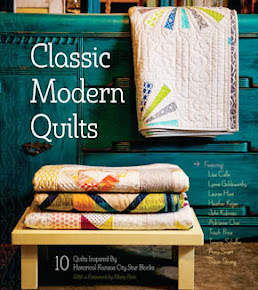 I think this book is on my wish list of quilt books right now!!! I follow your blog!! You always have such cool stuff on it!! I love Gwen's work and I am very inspired by this book. I am not libreated, but I would like to be :-) Thanks for the chance to win this book, since I have never had the opportunity of taking a class from Gwen. This book looks wonderful. I'm definitely going to have to look for it! Yes, I'm a fan of Gwen's and have several of her books. This one is definitely on my wishlist! How awesome that she sent you a copy! I've never gotten my hands on one of Gwen's books but would love to! Her work is quite inspiring! I'm now officially a follower. Sometimes I forget to become "official" even though you are on my blogroll! I have never made a liberated anything but now I am extremely inspired to do so. I'm really inspired by this! I struggle at time with piecing precision and love the idea of a more liberated approach. Would love to have a look through this book! To be completely truthful, I had never heard of Gwen until last week when she was mentioned by another blogger. I like what I've seen so far. I'm a follower of your's. I can`t participate as I`m international but I just wanted to say how amazing this book looks! It is so inspiring and I love that it`s not a pattern book but something to inspire us to create our own designs. Off to put it on my wishlist. Thanks for the sneaky peek. I'm your loyal follower Adrienne! i have been making and loving improv (or liberated) blocks, lately. i'm hoping to make a quilt out of improv blocks soon. this book looks super inspiring, and definitely my style! I've had her books on my wishlist for a while! I'd love to win! Wow! This book looks fantastic! My two favorite quilt books of all time are the Collaborative Quilting books by Gwen and Freddie Moran. My fingers are crossed. Thanks for having this wonderful giveaway! I am a happy regular follower of your blog in my Google Reader. This book looks amazing! 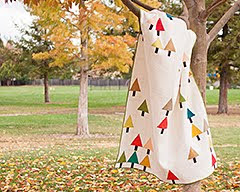 Hmmm, I just ordered Quiliting Modern - that's been on my wish list for a while. Also looking forward to Hartmans upcoming book release. I am a follower of your blog. Wonderful blog. I enjoy it! I am a big fan of Gwen,s work! OH yes, I think Gwen Marston is just heavenly. I wish I had the color sense (and courage!) to do what she does--I am in awe! I pre-ordered Liberated Medallions and Amazon sent an update this morning claiming that it will be on my doorstep the 27th. woot!! I LOVE Gwen's work and am dying to take a look at 37 Sketches! (I am excited for "Liberated Medallion Quilts" too!) Sometimes when I'm feeling stuck or uninspired, just a flip through Liberated Quiltmaking gives me a little injection of energy and ideas. I am a liberated quilt maker and fellow fan of Gwen! I'd love to win her new book! It is on my wish list. I know a little about Gwen. I do have one of her books which I really like. I am trying to become a liberated quilt maker but it is hard to step out of my box. I would love to take a class with Gwen one day. I would love to win this book. Thanks for the chance to win! I'm drawn to liberated style quilts, but I haven't made one yet. I'm still in the attraction stage; I am trying to get the courage to try it. I'd love a copy of her book! Her sketches are beautiful works of art. I am a fan of Gwens. The eye candy in that book is just fabulous. i need to try something outside of my comfort zone. i love the idea of making a bunch of minis to do just that! As a new quilter I am totally in awe! I'm a brand new quilter and can only think in terms of straight lines right now! 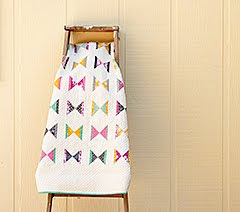 However, it is the modern style of quilt making that has pulled me in and this would be a fabulous inspiration. Thanks for the chance to win! I really want to be a liberated quilter - but I haven't jumped yet! Love the looks of this book, maybe it's the push I need. I LOVE the blocks you've shown here and it looks like a technique I would really enjoy doing. Oh wow! What a beautiful book! ME! ME! ME! ME! PICK ME!!! And, you know I can't live without my sweet Little Bluebell! That's so wild that Gwen saw your quilt and got in touch with you for a giveaway! She's such an inspirational quilter and even though I've never made any of her patterns, her sense of play and relaxation around quilting is so inspiring. Yes, I'm very inspired by these photos! I'm a liberated quilter although maybe not quite as liberated as Gwen and some of those quilt pictures! I'd absolutely love to win this book! I'm one of your followers for a long while now! I have her original Liberated Quiltmaking book and would love to add this one to my library. Thanks for the giveaway. I'm one of your faithful followers. I've been buying Gwen's books for years - wasn't aware of this one and would love to win it! Have taken some books from the library by Jean Wells; this looks like my type of thing! Thanks for the giveaway. I'm definitely a fan of Gwen's! I didn't know about this one, though. Thanks for sharing! This Canadian gal is a new fan of Gwen's, and I'm definitely feeling inspired. Would love to win, thanks so much for sharing! And I follow Little Bluebell, of course! Thanks for the second chance! I don't have any Gwen Marston books and that means my library is lacking! 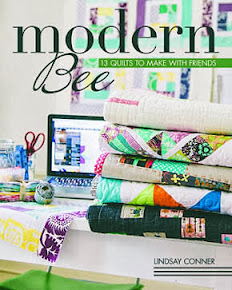 "Quilting Modern" is also on my radar screen. I am a fan of Gwens and I love that this new book is not a pattern book but a book of inspiration. I look forward to reading about how she approaches her designs. It looks fabulous, what a great giveaway! I am also a follower of little bluebell! Thanks for a second chance! I'm a huge fan of Gwen's! I've been lucky enough to attend her retreat twice and I'd go back every year if I could :) This book looks so inspiring! I love the idea of working in small sketches and I'm sure this book would help me refine my own working process. Thanks so much to you and Gwen for the giveaway! Gwen Marston was one of the first quilters I heard of when I started quilting. Her work has always seemed innovative to me and she continues to grow as an artist. This book looks like a beautiful coffee table book in the best sense - to inspire quilters and other artists! Thanks for sharing it with us. I actually have this book --wonderful inspiration. I would love to win one to give to a fellow quilter. Gwen is such a bright spot and a no drama! I really want this book!! I feel that I'm a liberated quilter and follow my own drum so to speak. I am a follower of your blog!! Thanks for your sharing of your info with all of us! I am a huge Gwen fan. The books look great! I don't have any experience with this author or these books, but would love to be introduced! 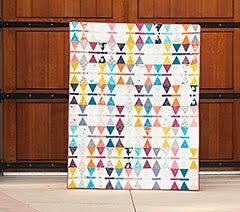 I would love to start making more "modern" quilts! I've always admired her work. My favorite is the more neutral palette one with horizontal stripes. That's gorgeous! Great review -- what a gorgeous book. I am definitely inspired by this book! My goal is to one day take a class from her (I'd *love* to attend one of her 4-day workshops!). I'm a happy follower, too! I love Gwen Marsten's stuff. I'm jealous of YOU because you got to read it! I love her style and this sounds like an amazing book. If I don't win, I'll be ordering it very soon. What a fabulous book. I love the experimental small works of artists. I usually like a sketchbook more than a finished painting, and this falls into that category that I'd love to peruse at leisure! Also a follower... Thanks again & again! Love Gwen! love her books... she taught me to quilt.. I am totally inspired by the snipets of yumminess shown here form the book! Looks like a great book. Thanks for the chance to win - and hopefully I will become a liberated quilter! I am a new follower thank you!!! I want to start making liberated quilts, but I'm hesitant. I hope that I will start one next. Here is a quilt (possibly a series) that I started in a Gwen Marston class. She is one of the best teachers with whom I have studied quiltmaking. Are you a fellow fan of Gwen? Love her stuff; love her collaborations, techniques and attitude. Have you ever taken a class from Gwen? Yes, 2001 or 2002 at a Marin Needlearts Guild Retreat. What quilting book is on your wishlist right now? In addition to this book, I want more of the Quilt project books and I have Quilt Remix on there, too. This definately looks to be a book that I'll need to place on my wish list, and subtley leave it around for hubby to find. Love Queen Gwen. She is so approachable with her quilting, that she makes it look easy and FUN!!!! I bet she's a great teacher in person! I'm a follower via email using email nsue21702 at gmail dot com. Thanks for the fun giveaway! Oh wow! These pictures Are inspiring indeed! Wouls love to get my hands on this book and really have a good read! I'm a happy follower of LIttle Bluebell! Oh my that is a beautiful book. It would get loved and used in my studio!! These are so beautiful and so modern and fresh! i took class with gwen last year and she brought many of these amazing quilts with her! so exciting! if you want to go to her retreat in MI, dont hesitate she retired after 2013!!! i want to go sooo bad! thanks for a chance.